Philip provides a welcoming and safe environment for individuals seeking to heal the effects of childhood trauma and move towards personal recovery. As a psychologist he feels honoured to witness and support the journey of each client; and he is constantly inspired by the resilient beauty of the human spirit. Philip is a Member of the Australian Psychological Society, and a Member of the Hakomi Australia Association. 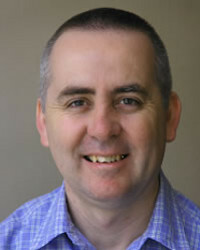 Philip specialises in field of Complex Trauma Treatment, Depression and Anxiety, and Addictions. He has worked trained and supervised professionals in the Counselling and Mental Health Fields since 1990. I became interested in counselling and psychotherapy when I witnessed significant alcohol abuse in rural Australia. That prompted me in 1990 to begin study in alcohol and other drug counselling. I have enjoyed the training and the work ever since. I draw from a wide range of methods depending on the needs of my client's. These methods include: Person Centred Therapy, Gestalt Therapy, Hakomi Therapy, Sensorimotor Psychotherapy, Trauma Model Therapy, Structural Family Therapy, Satir Family Therapy, Psychodynamic Therapy, Narrative Therapy, Solution Focused Brief Therapy, and Cognitive Therapy. I hope that my client's will start to feel progress from the very first meeting and continue their progress throughout the duration of the therapy. I aim to help my client's deal quickly and efficiently with any initial crisis, then gain personal insight and meaning into the nature of their struggles. I have always enjoyed the way that therapy has opened my mind to broader human possibilities and freedoms. I feel that therapy is a sacred space where magic can and should happen. I enjoy the wide variety of people that I meet in terms of client's and colleagues. I think that the most significant problem that we face in the world today is the lack of care for our mother Earth. I think that this political, and institutional lack of care is having, and will have massive negative effects now and into the future.